If the thing that's preventing you from backing up your data is the cost of storage, we have good news—B&H Photo has a good deal going for a 500GB HGST Touro Mobile hard drive. It's currently on sale for $34. HGST's Touro is a plug-and-play drive with a USB 3.0 interface. It's also bus powered, so as with most USB portable drives, there is no power cord. According to the product listing on HGST's website, the drive comes with 3GB of cloud storage with remote access, so you get two levels of backup protection—local and online. And if you upgrade to a paid account, HGST bumps up the online storage allotment to 250GB. B&H Photo throws in a bonus as well—an HGST 2.5-inch branded soft case. It's not much of a perk, but hey, it's something. 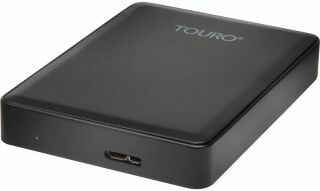 You can grab the HGST 500GB Touro Mobile on sale here.